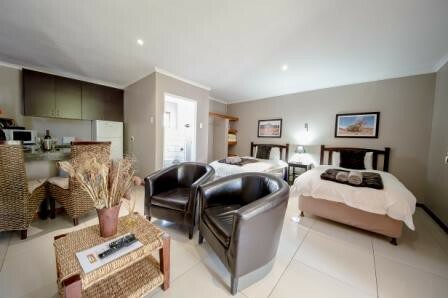 Kleinplasie Gastehuis in Namaqualand is an ideal stopover for travellers en route to Namibia. 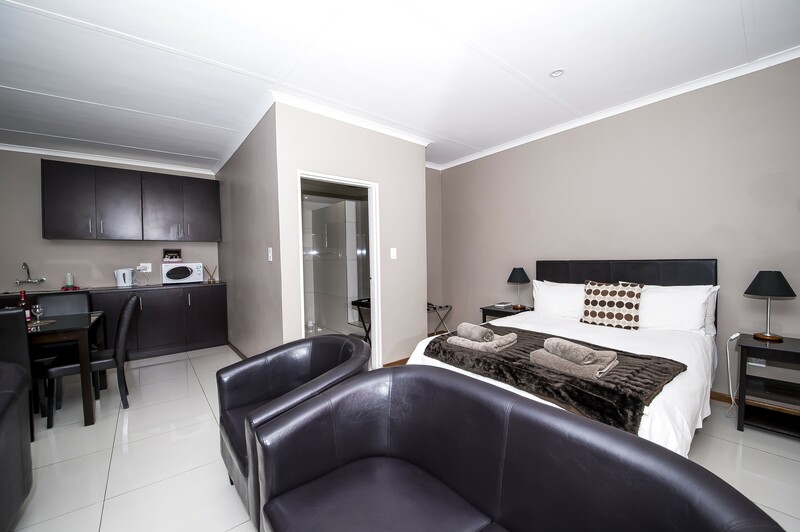 It is conveniently situated close to the centre of town and the tourist information office. 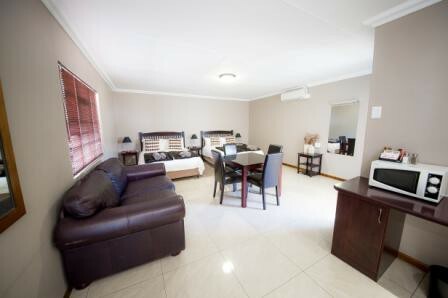 Kleinplasie Gastehuis provides DStv, air-conditioners, Wi-Fi Internet access and safe parking. 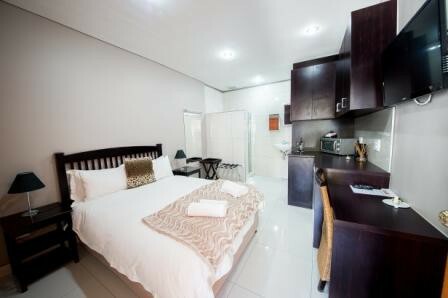 Overnight or stay longer in one of 22 luxuriously-equipped chalets in a secure, home-from-home environment. 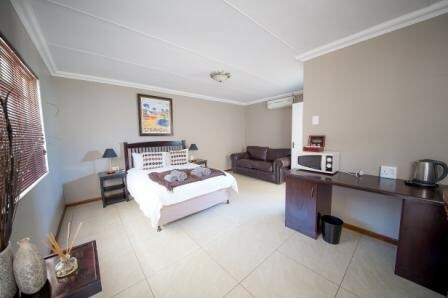 Enjoy the peaceful and tranquil setting, friendly staff and management. Spend a lazy afternoon or a fun-filled day with the children by the swimming pool. 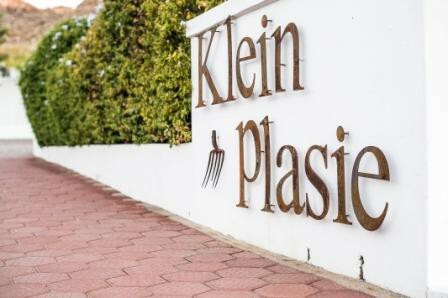 Kleinplasie Gastehuis also have a restaurant on the premises - open from 17:00 until 20:00 from Sunday to Friday. Take a scenic drive to the lovely town and surrounding area. 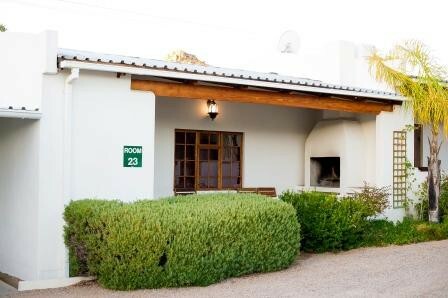 All rooms and chalets have private entrances into the garden as well as a private braai facility on the patio.